Over the years, RNIB alongside people with sight loss have campaigned tirelessly to bring about positive change. Here are some of the highlights. RNIB thought it was wrong that blind people weren’t able to receive the higher rate of disability living allowance (DLA). DLA is a benefit aimed at helping people meet the extra costs of a disability. As a result, many people faced considerable impact on their mobility and independence. What resulted was the biggest lobby of Parliament ever by people with visual impairments. Hundreds of letters were written to MPs, the Secretary of State for Work and Pensions and the Minister for Disabled People. The government agreed this was an unjust situation and awarded the higher rate mobility component of DLA. What this showed was the benefit of working together with campaigners. With the great activity at local and national level, RNIB was able to safeguard independence and mobility for people with sight loss and justice was done. At the start of this campaign, only 11 per cent of blind and partially sighted people said they use cash machines unaided, compared to 80 per cent of the general public. Despite the banking industry being slow to change, the campaign surprised everyone. Success came quickly as Barclays declared they would make their cash machines talk within the year. The success continued as other major high street banks followed suit. Currently, most branches of the following banks provide talking ATMs: Barclays, Lloyds, Halifax, Sainsbury’s, TSB, Nationwide and Santander. It’s been a hugely significant win for blind and partially sighted people, enabling the use of the increasing number of services offered through cash machines. This includes checking balances, withdrawing cash from a menu of options, changing pin numbers and topping up a mobile phone. 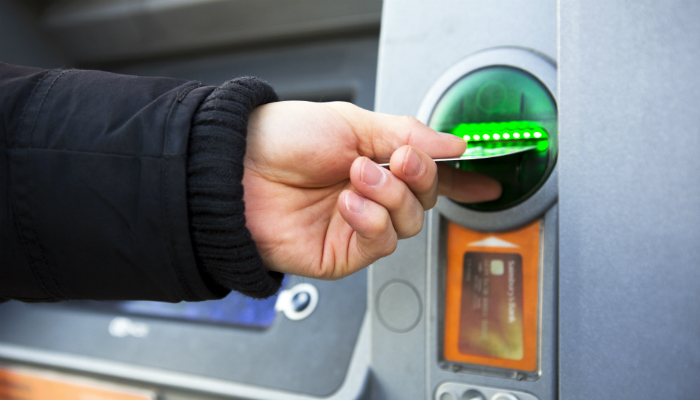 Equal access to ATM services remains fundamentally important to all of us. However, we know that blind and partially sighted people are still facing barriers when it comes to accessing these services. So RNIB will continue to support people to challenge inaccessible banking services. Getting your health information in an accessible format is crucial to independence. Campaigners have been advocating for this for some time. The NHS Accessible Information Standard came into force in England in July 2016. The new standard applies to all organisations that provide NHS services and adult social care, including GPs, hospitals, pharmacies, local authorities and social services. The standard has strengthened the existing legal right that blind and partially sighted people already have to accessible information under the Equality Act 2010. It obliges NHS providers to proactively find out what the information needs of their patients are, and to act on them. This victory was the result of campaigners from across the country and RNIB joining forces to get the NHS to make this right a reality. If you haven’t been asked about your health information format needs by your latest NHS service, we have a toolkit that can assist you. Later this year, RNIB is launching a new campaign that aims to ensure that blind and partially sighted children, teenagers and young adults have high quality educational support. The current system is failing to deliver and it is important that this changes. Please support it by joining our campaign supporters network. This article originally appeared in the Autumn 2018 edition of Connect Magazine.